Entering into a new year is always an exciting time. It’s the time when our planners are filled with notes and resolutions that promise to make 2014 the best year ever. One way to do this is by taking more risks and going on adventures you never had the time (or guts) to embark on before. Going on a vacation not only relaxes you but also transforms you into someone better. So why not include more travel destinations to this year’s itinerary? These places will definitely be worth the vacation leave. Honda Bay, Palawan. Located in the islands surrounding the South Western part of Palawan, Honda Bay is fast becoming one of the country’s top beaches. Not only will the clear waters make you feel in touch with nature but other exciting activities such as island hopping, snorkeling, and diving make the trip even more enjoyable and adventurous. Camiguin Island. Camiguin Island has long been considered the country’s “Garden of Eden”. Filled with waterfalls, hot and cold springs, and a beautiful beach, Camiguin is the best place to get away from the city. It’s the best place to unwind, and just recharge from life’s daily grind. Boracay. If you’ve never been to Boracay, then you’re missing out on much of the fun. The island remains one of the country’s most beautiful and scenic beaches. For the perfect combination of a relaxing vacation with an exciting nightlife, Boracay is still the way to go. The sand and the exciting night life is definitely something every yuppie would enjoy. 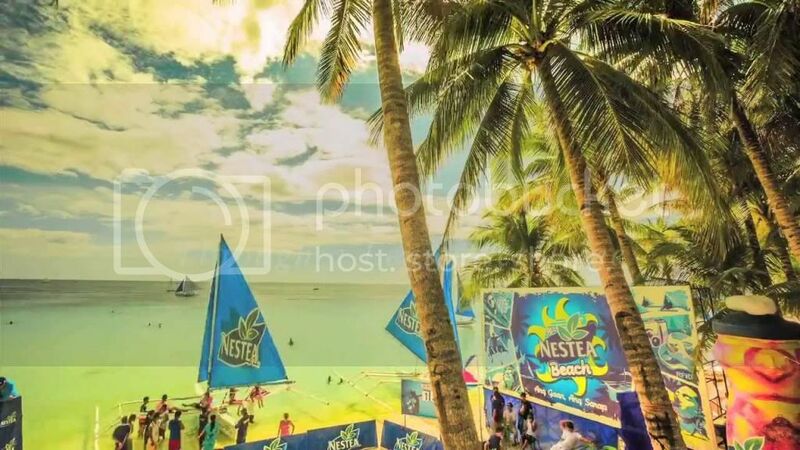 Make your 2014 adventures more fun with Nestea Ready to Drink (RTD). Making a comeback from the 90s, Nestea RTD’s three exciting flavors: Lemon, Apple, and Lemon Ice will surely bring a sweet taste to your once-in-a-lifetime adventures.